2. In a large bowl, heat butter in the microwave until melted. Add the rest of the crust ingredients. 3. Mix with a large spoon or spatula until everything is combined. 4. Generously spray mini tart pans with cooking spray. Firmly press crust mixture into each tart pan. You want enough to fill the bottom and the sides. 5. Bake in the preheated oven for 8 minutes. 6. While the crusts are baking, make your filling. 7. 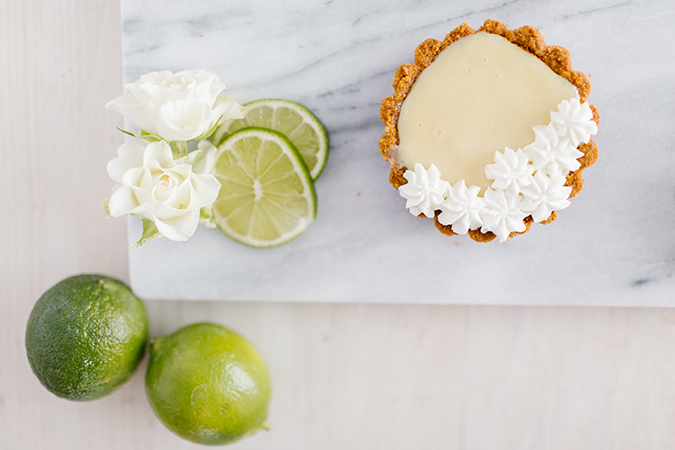 Add the sweetened condensed milk, key lime juice, and egg yolks to a medium bowl. Whisk until combined. 8. Pour the filling into the baked crusts and fill to the very tops. 9. Place the tarts back in the oven and bake for 15 minutes, or until the middle is no longer jiggly. If the tops start to crack, take out immediately. Don’t worry, they aren’t ruined, just a tad overbaked. They’ll still taste delicious! 10. Let the tarts cool to room temperature. Once they are cool enough to handle, place into your fridge or freezer until chilled. The colder the tarts are, the easier they will be to pop out of the tart pans. 11. 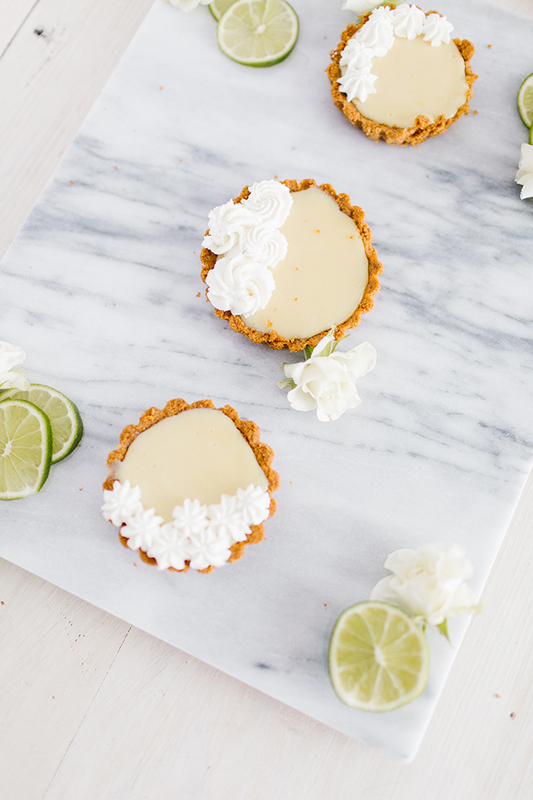 Pop out all of the mini key lime pies and place onto a serving tray. 12. To make the whipped cream, add all of the ingredients to a stand mixer fitted with a whisk attachment and whisk on medium-low until stiff peaks form. 13. Add the whipped cream to a piping bag fitted with a star piping tip and pip little star or rosette designs on top of each pie. Serve and enjoy! These two-bite beauties are set to complete even the best of summer menus. 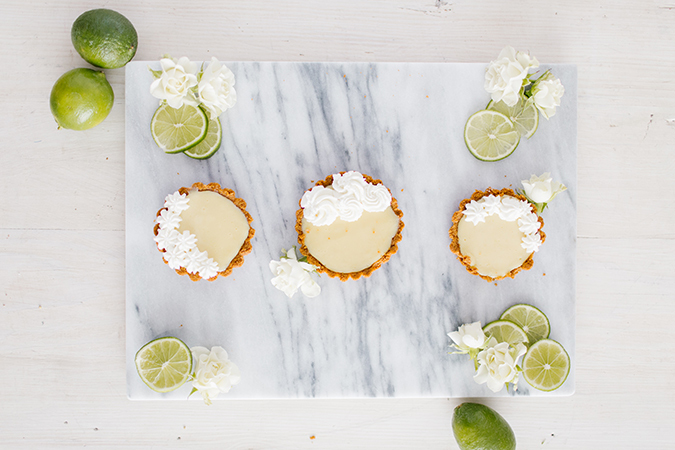 Plus, how cute are those tiny key limes that you use to make them? We’re in love! 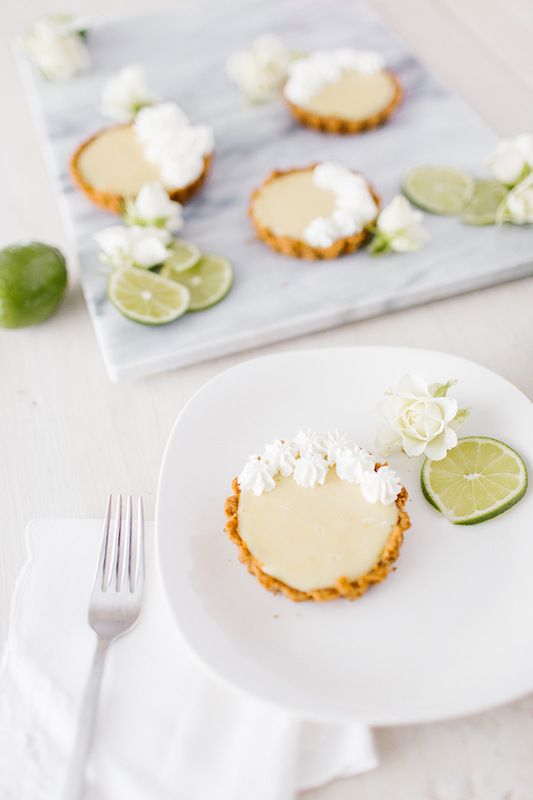 Will you be whipping up some mini key lime pies of your own?